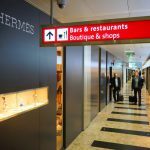 Passengers travelling internationally from Geneva and Zurich airports on Swiss and Edelweiss can wave goodbye to their bags at home and collect them at their destination. 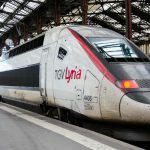 The service, run in partnership with Swiss Rail, must be ordered the day before departure. Each bag costs CHF 22 on top of a base collection fee of CHF 40. Boarding passes are delivered when bags are collected. Passengers flying with other airlines can use the service too, however they must collect their bags from Swiss Rail at the airport and endure regular check in queues. Used on the return journey, the service allows passengers to avoid standing at a bag carousel at Zurich or Geneva airports after a long flight. This service must be booked two days before the departure date and requires you to take your luggage to the airport of departure. A customs declaration must be completed and bags must contain no goods bought abroad, including those within duty free allowances. It is possible to send skis and golf clubs.